Have Your Juice & Eat it Too? 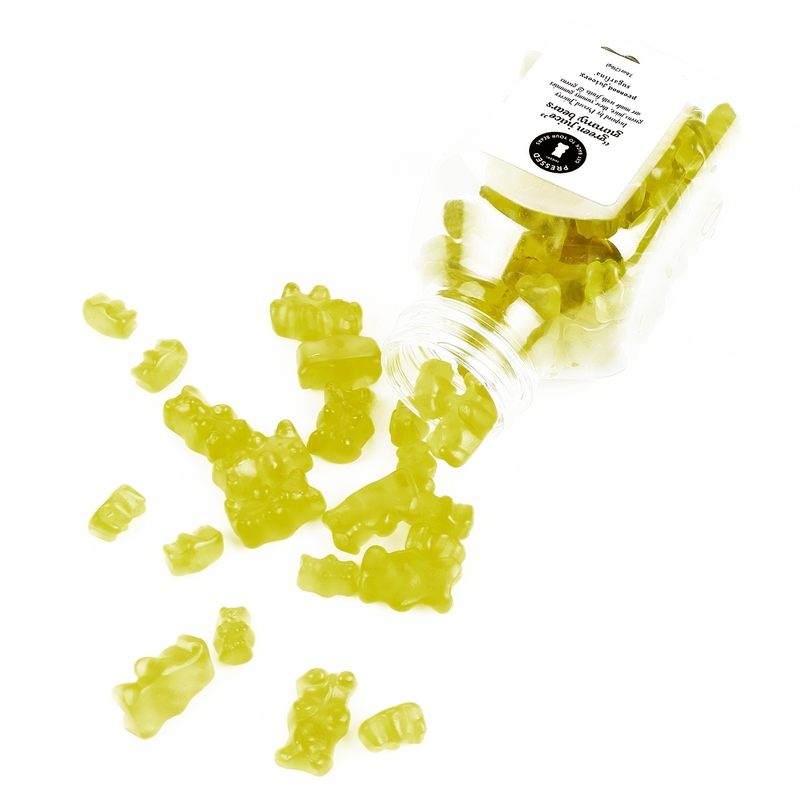 I was really intrigued by the concept of 'Green Juice' Gummy Bears by Sugarfina. I'd wouldn't mind squishy 'greens' flavored candy with the added benefit of 'real greens'. I ordered these gummy bears in all three sizes AND had high expectations. These gummy bears weren't exactly what I expected.. Although I was expecting a 'greens' flavored candy, I can understand why that wouldn't work. I'm not a sweets person, but I'm sure those who crave sugar, want sweet - NOT spinach flavored bears. These squishy candies taste like sweet-lime gummy bears. They have apple, lemon, spinach and ginger (even turmeric), but the candy aspect is strong. I had hoped for a 'greens' flavored gummy. I am a greens juice fanatic. Who has time to eat raw and cooked greens, along with all the other healthy stuff we're suppose to consume in a day? My go-to fruits and veggie juices make maintaining healthy lifestyle little faster and easier. Albeit, I do think spinach/kale flavored gummy bears may have a chance out there. If you're a candy-craving person, these might a be a 'semi-healthy' solution. There is apple, lemon, spinach concentrate and each serving (11 bears) contains 20% of your daily vitamin A and C. What if you only eat 11 'baby' bears (they're half the size of the momma bears), does that still count as 20% or do you have to eat double. Hmm.. I wonder why there's mama bears and baby bears? Did dad miss the gummy bear mould fitting? 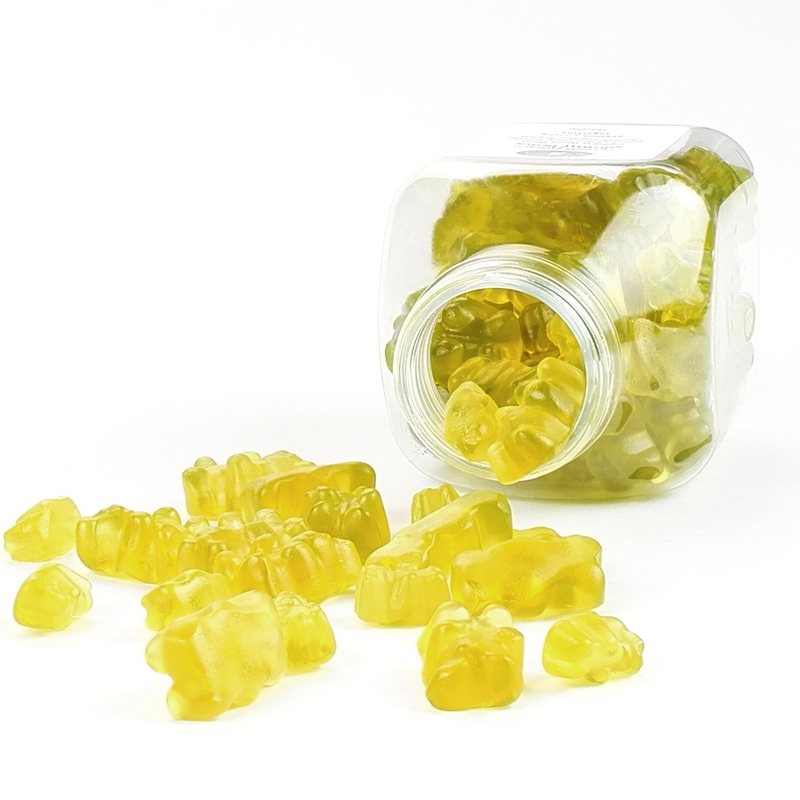 Dear Sugarfina, you're gonna upset few people with the mama and baby thing - maybe you should give dad another chance and allow him a spot in your 'Green Juice' Gummy Bears bottles! I have a baby bear - my Toy Poodle Teddy, looks like a Teddy Bear. I'm the momma, BUT he favors his daddy! If you or someone in your life loves candy, these are fun, but if you're a salty person (like me) and love greens, these 'Green Juice' Gummy Bears fall short. They taste like every other gummy bear with a hint of citrus. I'm a little disappointed and hope to see 'real' green juice gummies in the candy section soon. I'd go out of my way and spend a small fortune to avoid actually eating real green veggies on the daily! 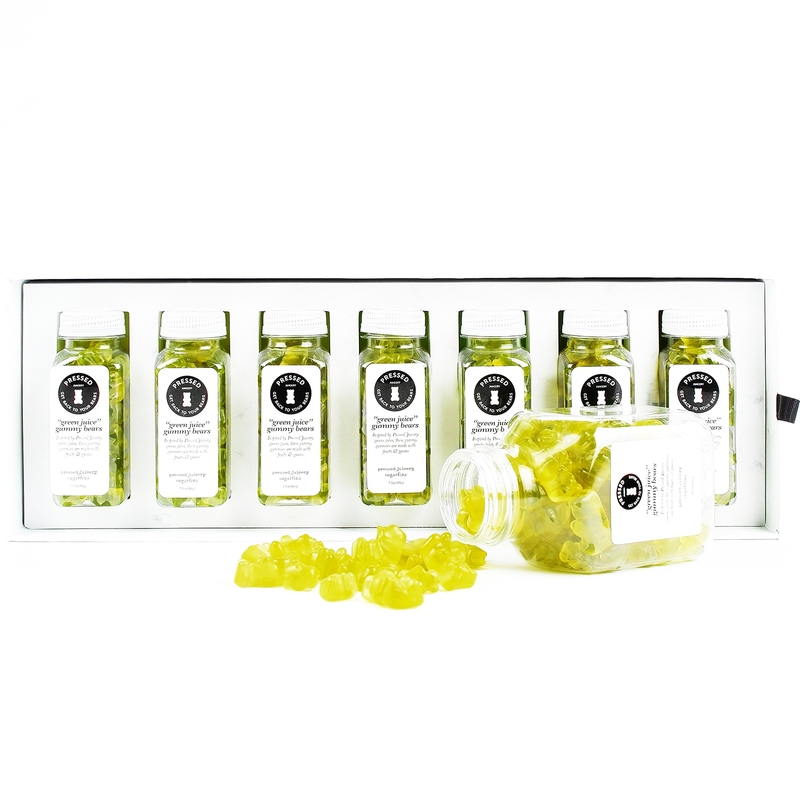 These little green gummies are available in 7.6 oz, 15.4 oz and a seven day 'cleanse' consisting of seven 1.7 oz bottles. Let's be clear, this is not a cleanse. There's a reason 'Green Juice' is in quotations. 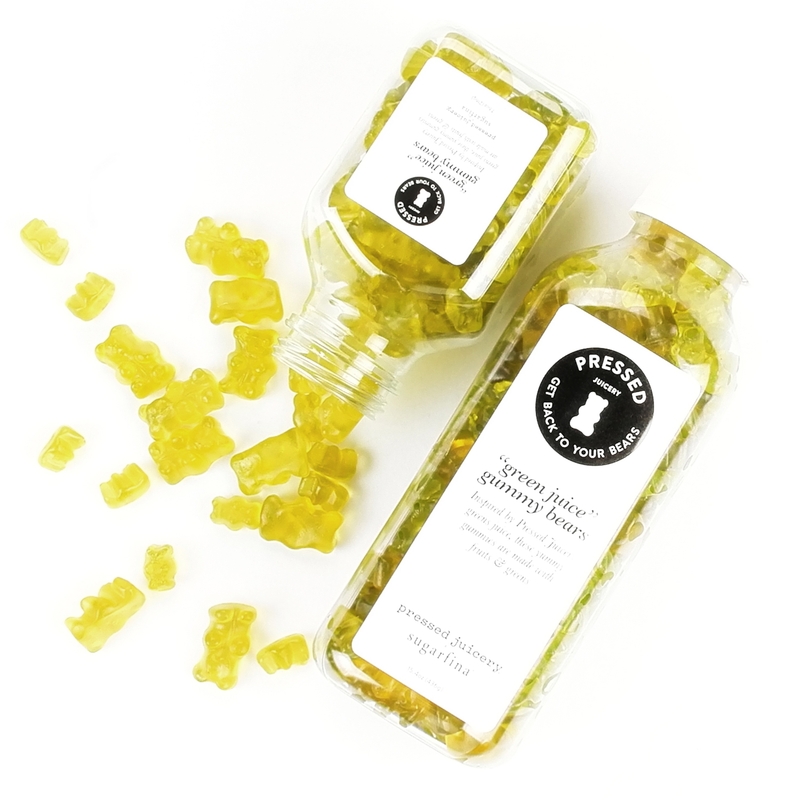 Sugarfina does state that these gummy bears are 'inspired' by Pressed Juicery greens juice. Sugarfina is an amazing candy company. I purchased custom candy boxes for Valentine's Day gifts and they were much appreciated. The candy flavors are unique and you can custom by color, flavors or a theme. This place is my new go-to candy shop.